The brain is protected from bacterial invasion from the environment by the skull, the dura, the arachnoid membrane, the pia, and the glia limitans, which is a dense mesh of astrocytic processes on the surface of the brain. Consequently, most bacterial infections spread to the brain by the bloodstream. Bacteria can penetrate into the brain from the environment if there is a break in the continuity of these protective layers. Such a discontinuity may be due to congenital defects (encephalocele, meningomyelocele) or may be caused by trauma or a shunt. Bacteria can also spread to the brain from infected adjacent air sinuses, the middle ear and the mastoids. They can reach the brain either directly through the bone, especially in areas where the bone plate is thin, or through veins (diploic veins, dural venous sinuses, intracerebral veins). The various protective layers may also help contain infections within certain spaces or planes. An epidural space filled with adipose tissue exists normally around the spinal cord. A spinal epidural abscess arises when organisms from osteomyelitis or tuberculosis of the vertebral column spread to this space. There is no epidural space normally in the cranium. However, a cranial epidural abscess may develop when bacteria colonize a traumatic epidural hematoma, or when infection from air sinuses extends in the plane between the dura and bone. Infection may spread to the subdural space from air sinuses or from the middle ear. The subdural space is traversed by bridging arteries and veins but has no vascular network of its own. Therefore, antibiotics have no access to this space. Treatment of the subdural abscess consists of evacuation plus intravenous antibiotics. Epidural and subdural abscesses are collections of pus. If they are large enough, they compress the brain and spinal cord, resulting in loss of function and increased intracranial pressure. Locally, neutrophils destroy tissues with their enzymes. This damage is followed by formation, in the subdural space, of a vascularized inflamed connective tissue and then a fibrous scar. 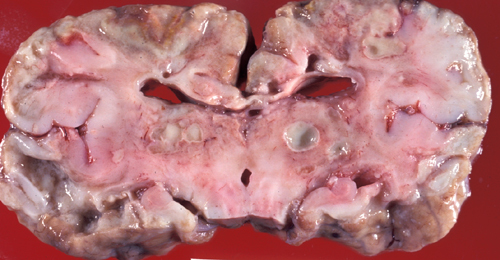 Histologically, acute subdural empyema shows a layer of neutrophils overlying the arachnoid membrane. The inflammatory cells may infiltrate the arachnoid membrane and extend into the subarachnoid space. 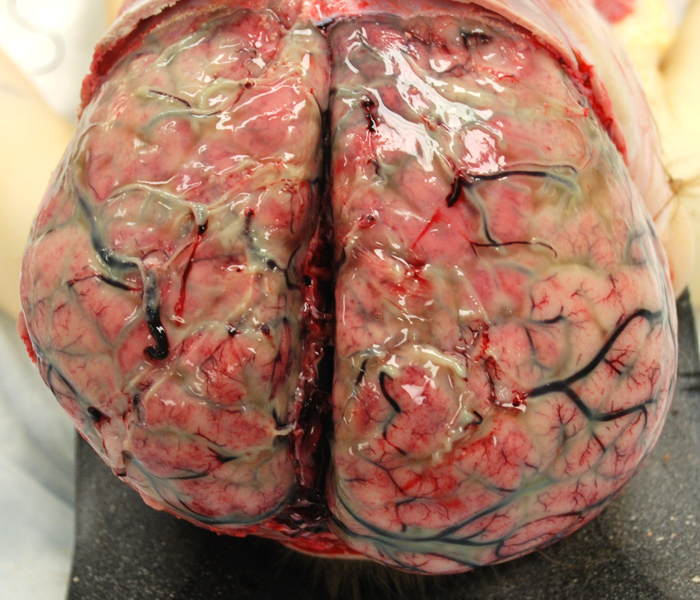 Bacterial meningitis is the infection of the arachnoid membrane, subarachnoid space, and cerebrospinal fluid by bacteria. The subarachnoid space is bounded externally by the arachnoid membrane and internally by the pia, and dips into the brain along blood vessels in the perivascular (Virchow-Robin) spaces. It extends from the optic chiasm to the cauda equina and surrounds the brain and spinal cord completely. The infection may spread to the meninges from an adjacent infected area such as sinusitis, otitis media, and mastoiditis or from the environment through a penetrating injury or congenital defect, such as a menigomyelocele. Most commonly, however, meningitis results from hematogenous dissemination of bacteria. The most common organisms of bacterial meningitis in children and adults are Streptococcus pneumoniae and Neisseria meningitidis. Streptococcus pneumoniae is declining after the introduction of conjugated vaccines. Hemophilus influenzae, once very common in children, is now rare thanks to vaccination. In newborns, the most common organisms are beta hemolytic Streptococcus group B (Streptococcus agalactiae) and Eschericia coli. In babies, group B sreptococcal infection is frequently acquired during passage through the birth canal but meningitis may also develop a few days or weeks after birth. Nosocomial sources of meningitis include craniotomy, internal and external ventricular shunts, penetrating cranial fractures, closed head injuries with CSF-leaking basilar skull fractures, external lumbar catheters, and rarely lumbar puncture. The complement system is important for bacterial killing. Deficiency of complement, e.g., in patients with sickle cell disease or who have undergone splenectomy, increases the risk for pneumococcal meningitis. The organisms that cause bacterial meningitis colonize the nasopharynx and, from there, they get into the blood stream. They enter the subarachnoid space by passing through endothelial cells (transcytosis), getting across the porous choroid plexus capillaries, or being carried by granulocytes. The CSF is an ideal medium for the spread of bacteria because it provides enough nutrients for their multiplication and has few phagocytic cells, and low levels of antibodies and complement. 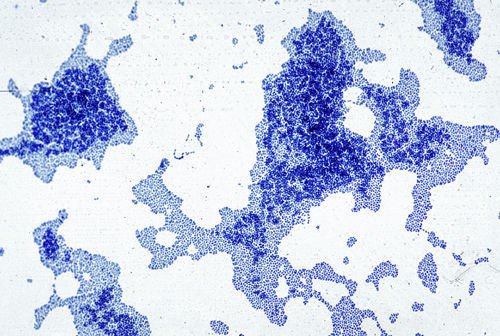 Initially, bacteria multiply uninhibited and can be identified in smears, cultures, or by ELISA detection of their antigens before there is any inflammation. Bacterial products can damage the brain and blood vessels directly. Bacterial toxins cause neuronal apoptosis, and cell wall lipopolysaccharide (endotoxin), released from bacteria, activates clotting causing disseminated intravascular coagulation (DIC). More severe injury results from the inflammatory response to bacteria. Cells of the innate immune system of the brain, located in the BBB, choroid plexus, and ependyma, detect bacteria and secrete cytokines, chemokines, and complement, which attract circulating granulocytes into the CSF. Granulocytes and macrophages have powerful lysosomal enzymes and free radicals, which they use to kill bacteria, but have a short life span. As they lyse, these compounds are spilled and can destroy everything in their way. If neutrophils accumulate, they can damage brain tissue, nerves, and blood vessels. 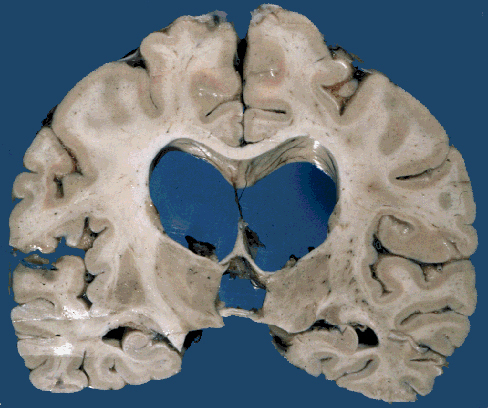 Vasculitis and clotting cause cerebral infarcts. So, brain damage in bacterial meningitis is caused in part by the direct action of bacteria and in part by the antibacterial inflammatory response. The brain has elaborate mechanisms for controlling inflammation but, in some cases, unbalanced defense reactions can cause severe injury. The most dangerous complication of bacterial meningitis is increased intracranial pressure from cerebral edema. Cerebral edema may be vasogenic, from increased vascular permeability, cytotoxic from cerebral hypoxia, interstitial, from increased CSF volume, or a combination of all. 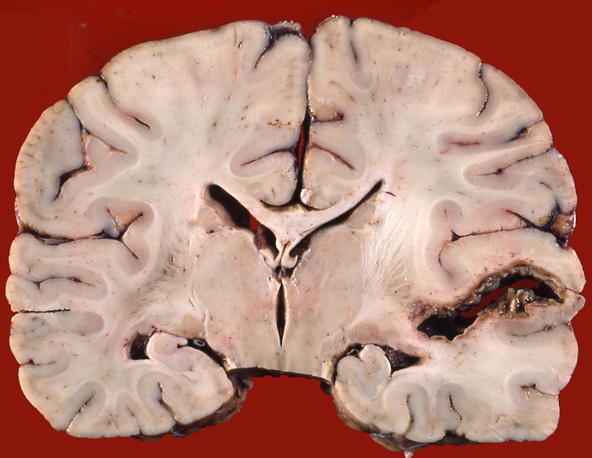 Increased intracranial pressure, in turn, causes decreased cerebral perfusion, hypoxia/ischemia, and neuronal necrosis. The initial symptoms of meningitis are fever, severe headache, and stiff neck. The inflamed spinal structures are sensitive to stretch, and pain can be elicited by maneuvers that stretch the spine, such as bending the leg with an outstretched knee (Kernig sign) or bending the neck (Brudzinski sign). As the disease progresses, confusion, coma, and seizures develop. These complications are due to HIE, increased intracranial pressure, and a toxic metabolic encephalopathy. HIE is due to shock. The toxic metabolic encephalopathy is probably caused by unknown diffusible substances (perhaps cytokines) that have a neurotoxic action. In infants, meningitis may present with nonspecific signs such as a depressed state, apneic spells, changes in heart rate, and atypical seizures. The cornerstone in the diagnosis of bacterial meningitis is CSF examination. The CSF in meningitis shows hundreds, even thousands of neutrophils and is teeming with organisms. CSF protein is elevated and glucose is low (because it is consumed by inflammatory cells). The CSF:blood glucose ratio is lower than 50%. 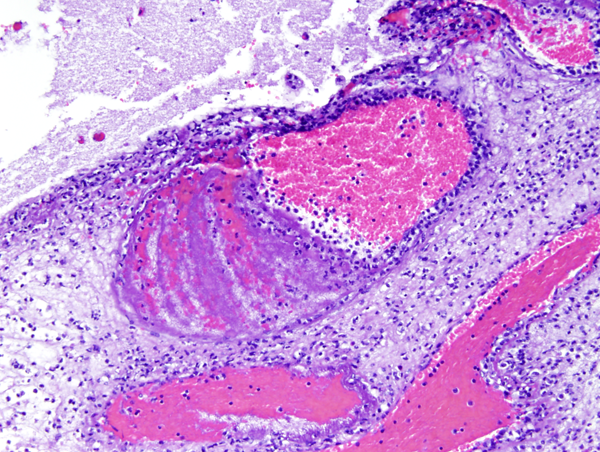 The inflammatory exudate in the subarachnoid space is layered-neutrophils on top, fibrin in the deeper layer. A vein with phlebitis and a clot is also present. 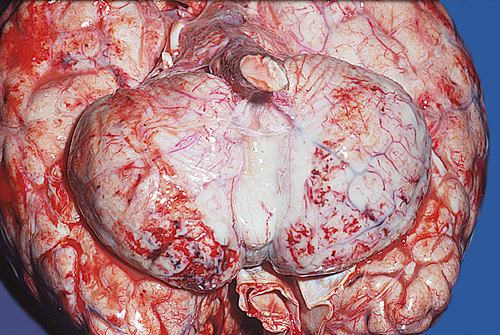 A creamy purulent exudate covers the cerebral hemispheres and settles along the base of the brain, around cranial nerves and the openings of the fourth ventricle. The MRI shows enhancement and high FLAIR signal intensity in the meninges, corresponding to the pathology. 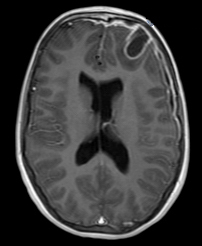 A child presenting with fever, headache, and CSF pleocytosis is a diagnostic dilemma. Less than 5% of such cases are due to bacterial meningitis and the rest are due to viral (aseptic) meningitis (see viral infections). Yet, to play it safe, physicians admit such patients to hospital and treat them with antibiotics. Unnecessary hospitalizations can be avoided if a standard set of criteria are taken into account. These are: CSF positive Gram stain, CSF absolute neutrophil count (ANC) >100 cells/µL, CSF protein >80 mg/dL, peripheral blood ANC >10,000, and a history of preceding seizure. The presence of these findings strongly favors bacterial meningitis. Alternatively, viral PCR of CSF, which has a turnaround time of a few hours, can confirm aseptic meningitis. 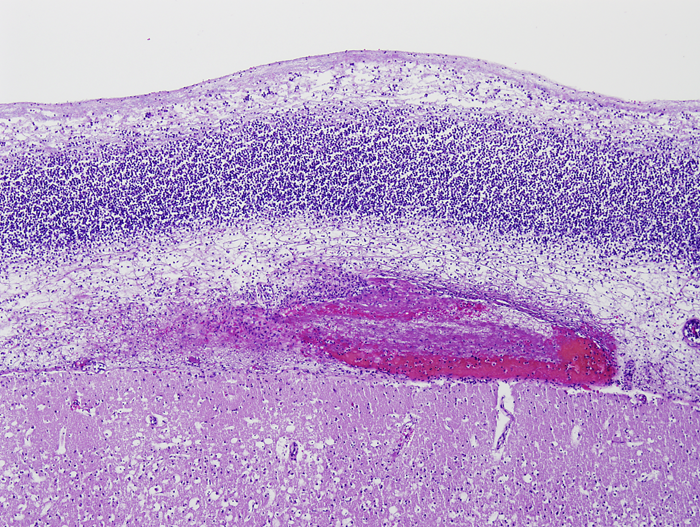 Neutrophils in the subarachnoid space infiltrate and damage cranial nerves resulting in cranial nerve deficits, and invade leptomeningeal vessels causing phlebitis and arteritis with thrombosis and ischemic infarction. Sinovenous thrombosis may also occur. The thick fibrinopurulent exudate in the subarachnoid space organizes into fibrous tissue that blocks the exits of the fourth ventricle and impairs CSF circulation around the cerebral convexities. This causes hydrocephalus. These complications take time to develop and may appear after the inflammation has subsided. They may be prevented by prompt treatment. The effects of HIE and cerebral infarction are especially devastating in newborn babies in whom the brain can literally melt away. The glia limitans, a thick tight mesh of astrocytic processes, joined by dense junctions and covered by basement membrane, resists penetration by bacteria and neutrophils. Undamaged, it provides an effective barrier that prevents the infection from spreading into brain tissue. Thus, brain abscess as a complication of meningitis is rare. Brain damage in meningitis is caused not only by bacteria but probably more by host responses. These responses have a protective purpose (to eliminate bacteria) but are excessive and indiscriminate and set in motion destructive cascades that damage everything in their way, mostly host tissues. Modulating these reactions, in addition to killing bacteria, can reduce the morbidity and mortality of meningitis. 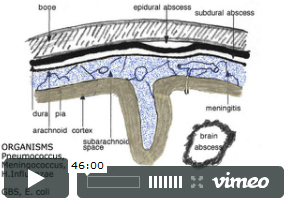 Brain abscess is a newly formed cavity in brain tissue, filled with pus. The bacteria that cause brain abscess spread from adjacent air sinuses or the middle ear, or via the blood stream from the lungs (bronchiectasis, lung abscess), or from the heart (bacterial endocarditis). Brain abscess may also develop after neurosurgical procedures and open head injuries. The location of the abscess corresponds to its source. Frontal sinusitis causes frontal lobe abscess, and mastoiditis temporal lobe abscess. Hematogenous abscesses are often multiple. The bacterial flora of brain abscess depends on the source of the infection. In the case of sinusitis and otitis, it is often polymicrobial, including anaerobes. Hematogenous abscesses are most often caused by staphylococcus and streptococcus species. Bacteremia alone does not cause brain abscess. Some tissue damage, probably a small ischemic lesion, is required to start the process. Bacteria in the blood seed this necrotic nidus and spread around it causing brain necrosis and acute inflammation (cerebritis). 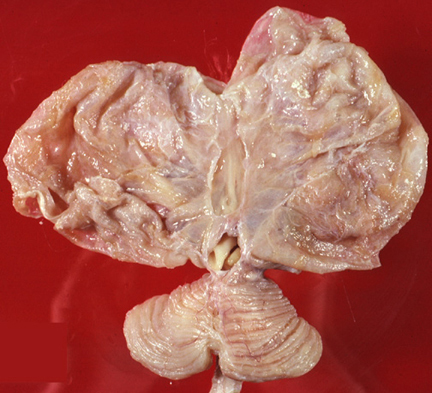 The same early pathology develops from contiguous spread of infection. 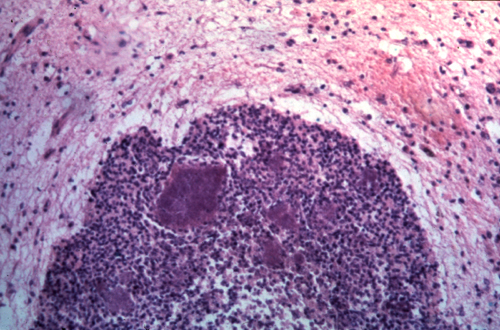 The necrotic center cavitates while, at the periphery, a vascular zone of brain tissue with macrophages, mononuclear cells, and reactive astrocytes contains the infection. In 4-5 weeks, collagen (derived from vascular cells) is laid down in this reactive zone forming a thick capsule that walls off the infection. 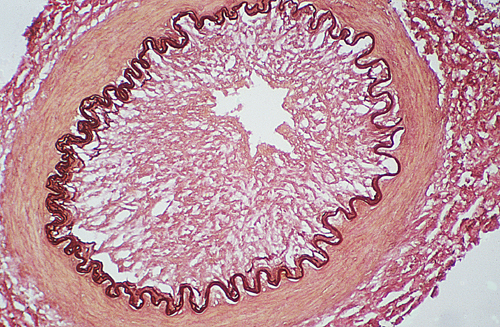 Increased vascular permeability in the inflamed tissue causes cerebral edema. Hypervascularity and vascular leakage account for the "ring enhancing" pattern after contrast injection, which gives abscess its characteristic radiological image (necrotic tumors may have a similar appearance). 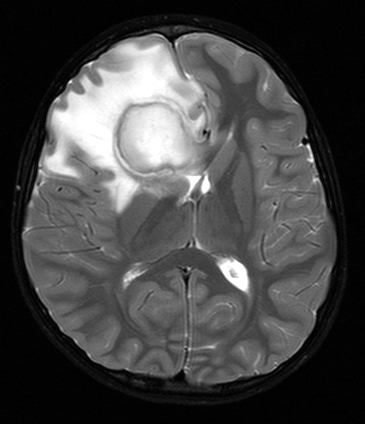 Patients with brain abscess present most frequently with headache and may also have symptoms of infection, focal neurological deficits due to destruction of brain tissue, and seizures. More important, abscess causes increased intracranial pressure. Its mass effect is due to the collection of pus and to cerebral edema around the abscess. Since the infection is contained within brain tissue, the CSF usually shows only a few mononuclear cells with normal protein and glucose. CSF cultures are positive in a minority of cases, however lumbar puncture should be avoided because of the risk of herniations. Systemic antibiotics are effective in the phase of cerebritis. Once a capsule develops, it is a barrier to antibiotics. Thus, the treatment of chronic abscess requires drainage or surgical excision in addition to systemic antibiotics.